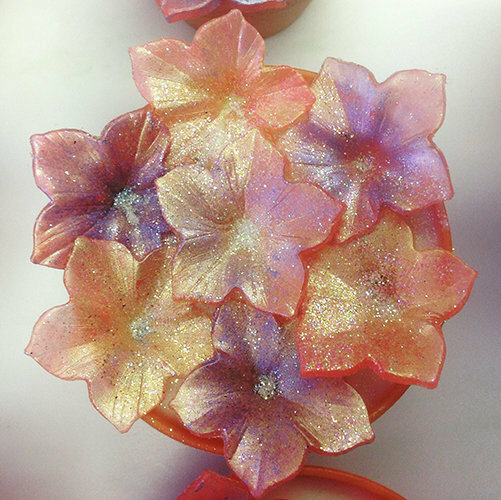 Ever wanted to create (and sell) soaps that look this gorgeous? Then this intensive, step-by-step programme is exactly what you’ve been looking for. I’ll bet you have (which is probably why this page caught your attention). 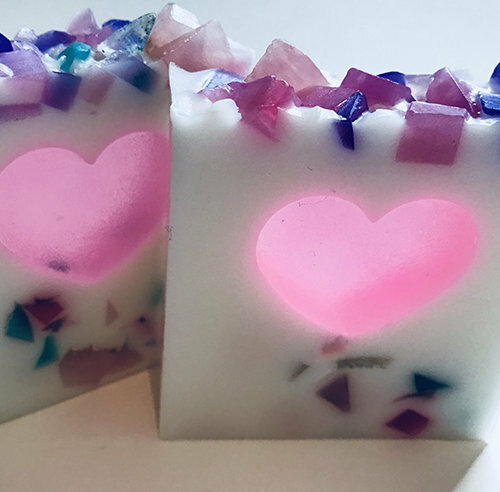 You’ve probably watched hours of videos on YouTube, trying to figure out exactly how to make soaps that people love… but you’ve been confused by all the techniques and conflicting information in these videos. 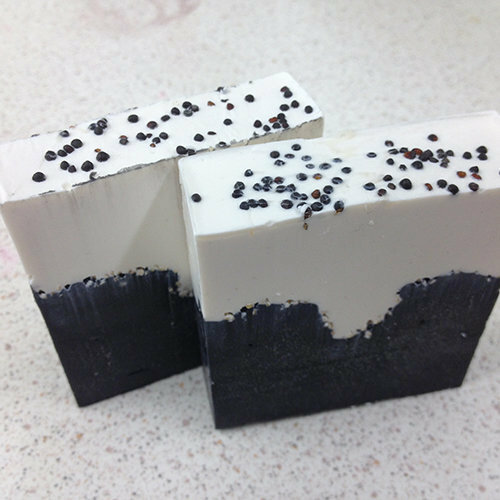 Maybe you’ve even looked into courses and programmes designed to teach you how to make your own soaps. There are quite a few such programmes out there, but they always seem to have the same problems, don’t they? 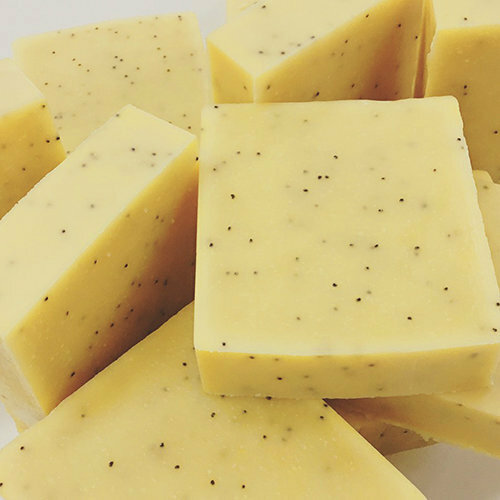 Most of these programmes require a time commitment of about two years before you learn all the skills you need to consistently create excellent soap products… and sometimes even longer. Many people teaching these courses only have limited experience (often times, they’ve just recently completed their own training), so they haven’t truly mastered the techniques they’re showing you. These programmes typically don’t include training and education about EU cosmetics regulations. 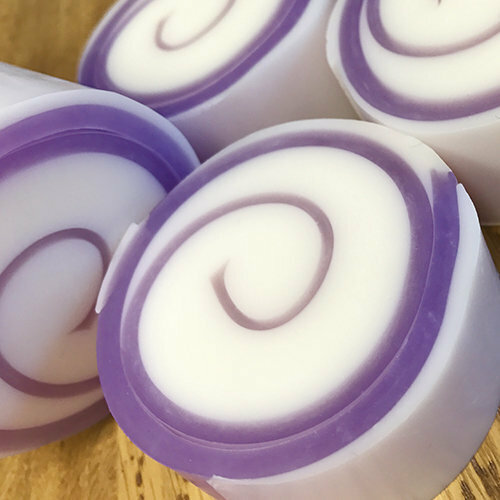 Knowing these regulations in detail is essential if you want to sell your soaps… and helps ensure that your customers will enjoy your soaps safely. 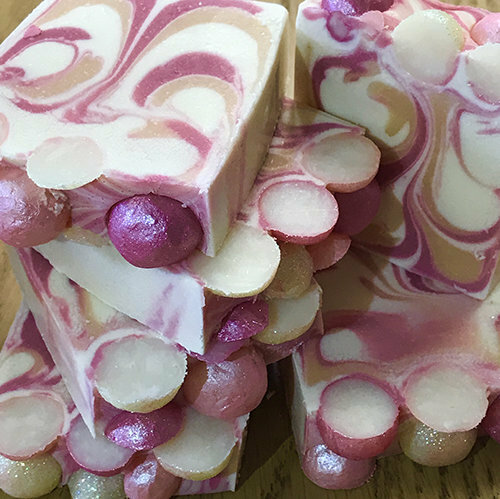 Very few of these programmes include real-world training, tips, or resources to help you turn your soap-making passion into a business… so you’re essentially just paying to learn a rather expensive hobby. In short, why would you want to spend your hard-earned money on a programme or course that isn’t going to give you the experience, insights, and techniques you need quickly? 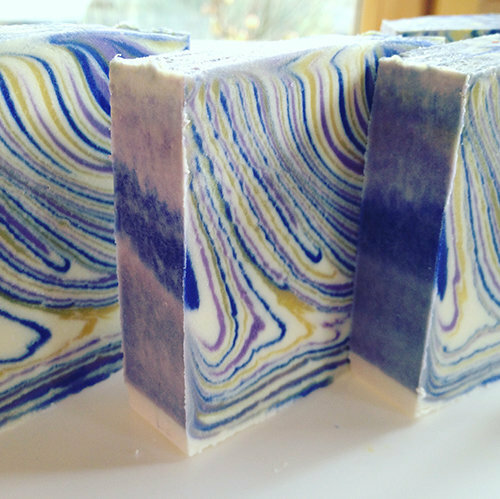 After all, if you want to turn your passion for beautiful, luxurious soaps into a business you can be proud of, you need complete training that covers every aspect of your soap making business from start to finish. And you need it to be fast-paced, so that you can start earning money and thrilling your customers as soon as possible! 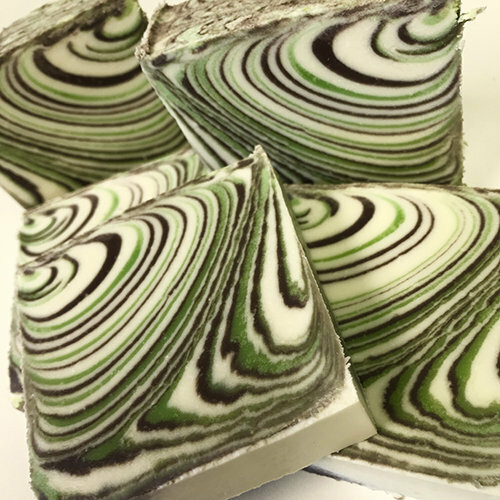 After all, if you want to turn your passion for beautiful, luxurious into a business you can be proud of, you need complete training that covers every aspect of your soap making business from start to finish. And you need it to be fast-paced, so that you can start earning money and thrilling your customers as soon as possible! 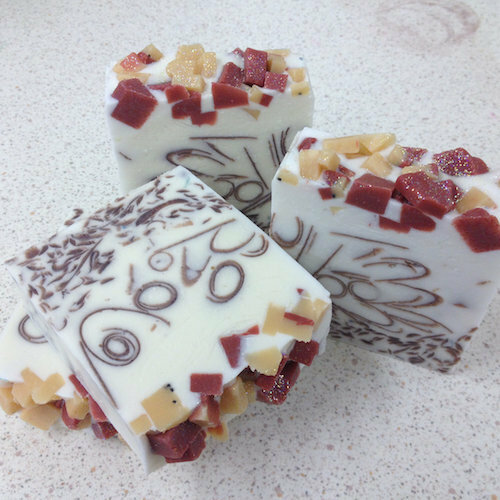 We’re Shawn and Sarah, the instructors of the Soap Making Intensive Masterclass Course. 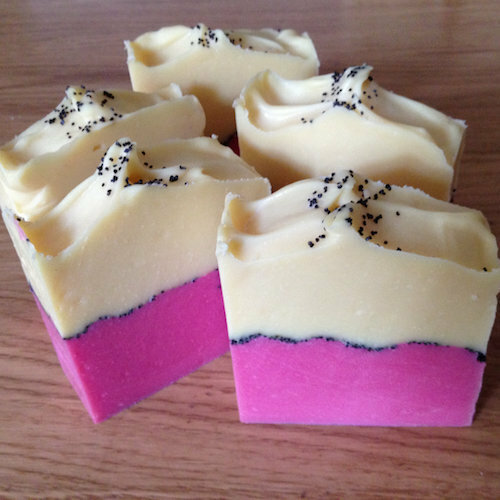 Like you, we’ve been fascinated with luxury soaps for quite a long time… and we’ve tapped into that passion to help people just like you – aspiring soap makers from all over the world – develop the skills to not only produce soaps that people will love, but also to transform your hobby into a business that can earn a part time (or even full time) income! 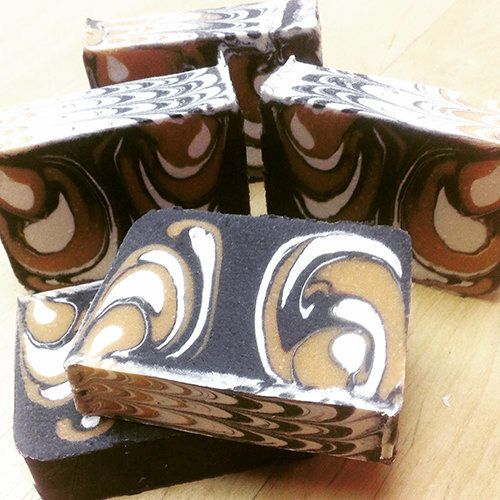 Shawn has more than a decade of experience in creating beautiful, natural soaps, and has been a part of Soap School for 10 years. 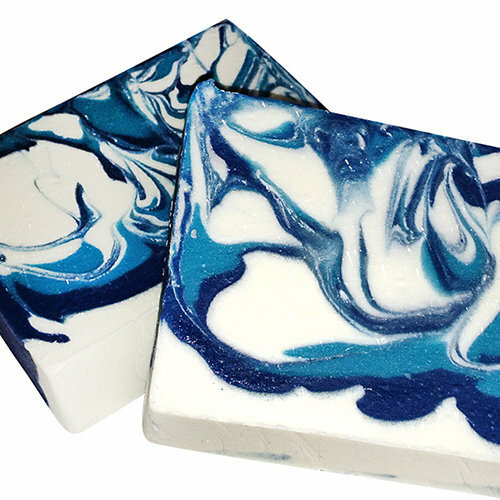 His American soap making techniques are instrumental in helping our students – from beginners to advance soap makers – produce functional works of art. 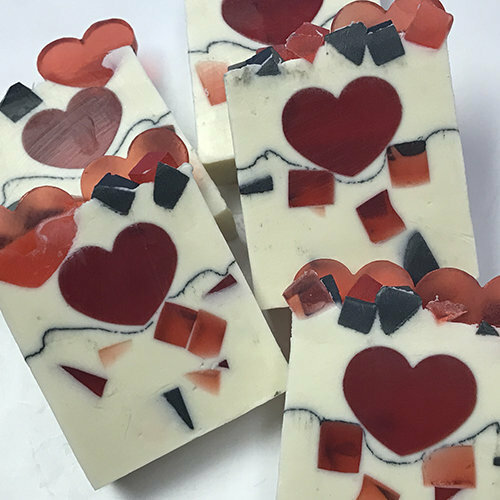 Sarah’s background is in wax art and crafting, but once she discovered soap making, she knew she had found something truly special. She has more than 25 years of experience training people in soap, cosmetics, and candle making, and owned one of the largest soap making supply companies in Europe before founding Soap School. 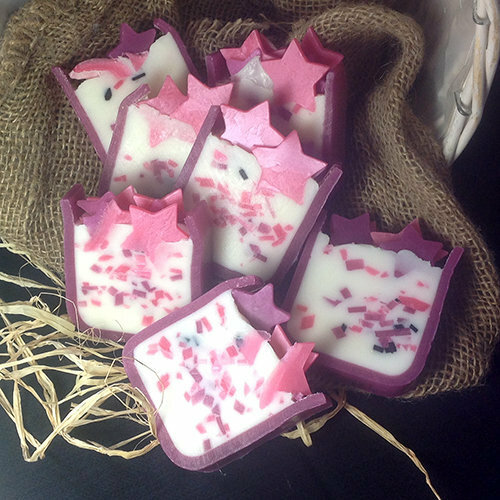 She graduated in business and finance, which allows her to help aspiring soap makers launch their own successful businesses. Together, we’ve worked with people from more than 100 countries, many of whom now earn their incomes from the exceptional soaps they create for their customers every day. Now, we’d like to invite you to become our next success story! That’s why we’ve developed this 7-day Soap Making Intensive Course. 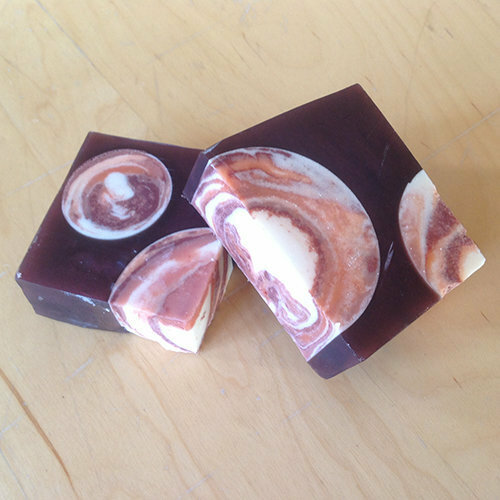 We’re Shawn and Sarah, the instructors of the Soap Making Intensive Course. 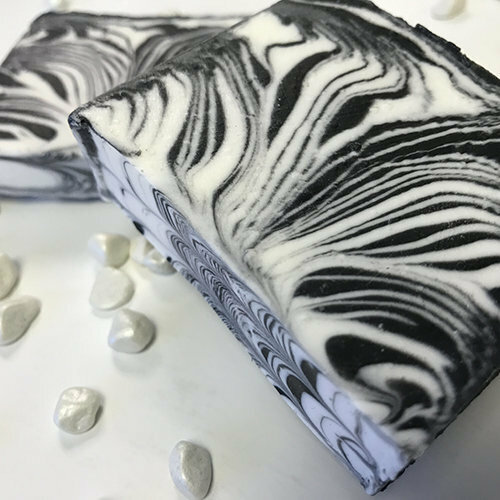 Like you, we’ve been fascinated with luxury soaps for quite a long time… and we’ve tapped into that passion to help people just like you – aspiring soap makers from all over the world – develop the skills to not only produce soaps that people will love, but also to transform your hobby into a business that can earn a part time (or even full time) income! 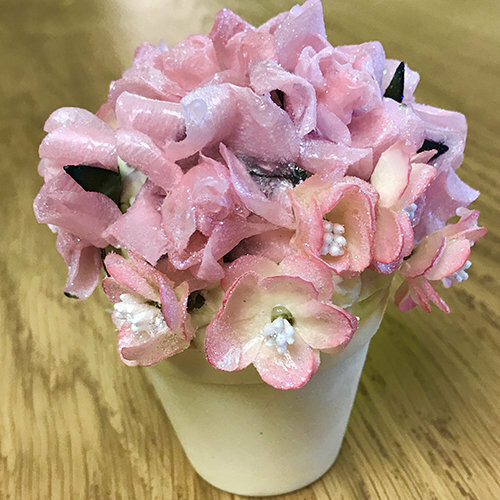 Sarah’s background is in wax art and crafting, but once she discovered soap making, she knew she had found something truly special. She has more than 25 years of experience training people in soap, cosmetics, and candle making, and owned one of the largest soap making supply companies in Europe before founding Soap School. She also graduated with degrees in business and finance, which allow her to help aspiring soap makers launch their own successful businesses. Together, we’ve worked with people from more than 100 countries, many of whom now earn substantial incomes from the exceptional soaps they create for their customers every day. 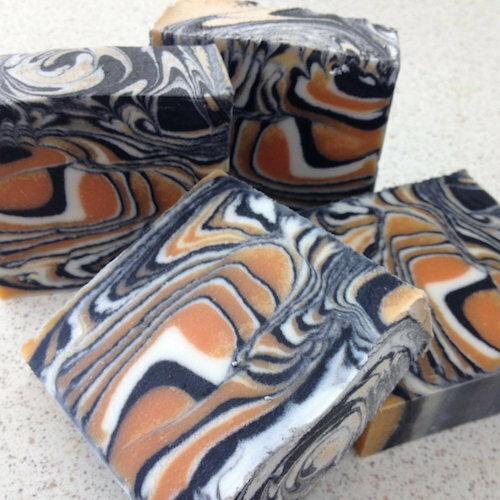 Simply put, this programme is the most complete, in-depth soap making course available anywhere in the world. Unlike YouTube videos and other online resources, this programme gives you hands-on instruction with experienced trainers by your side. By having us shadowing you as you practice what you learn in our professional training facility, you get to perfect your techniques in a matter of days – 7 days, to be exact! 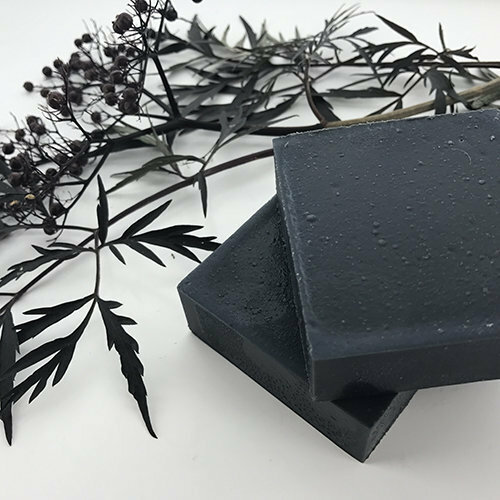 And unlike most programmes, we cover a full range of soap making methods, styles and techniques, helping you create a signature collection that reflects your unique vision. 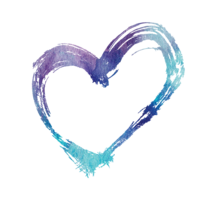 Think about that – when you create and market your personal collection, you get customers coming back to you to buy again and again… and referring their friends, family, and coworkers to you too! 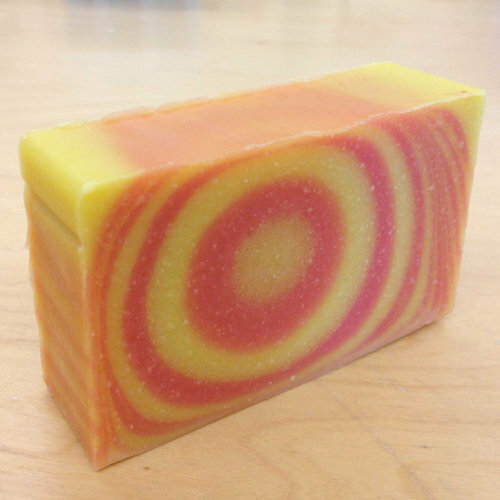 What is the Soap Making Intensive Course? Should you really invest 7 days in this training programme? Like most of us, you probably have a very busy life. So we understand if spending 7 days in this live programme seems like quite a time investment. 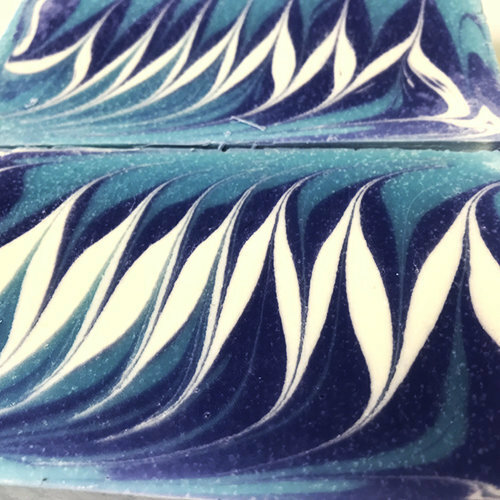 Many of the soap makers we’ve met have taken several 1-day courses that show one or two techniques, but that don’t provide enough training to allow true mastery. 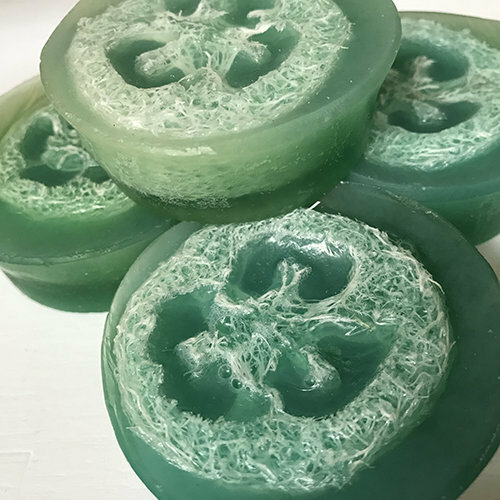 So even though they’ve invested time and money into learning the art and business of soap making, they still don’t have a clear path to success. 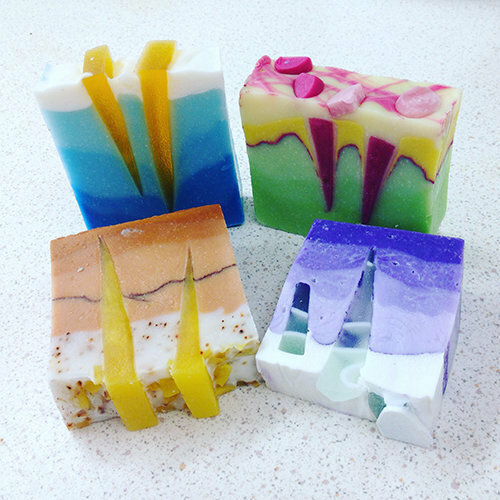 We’ve structured this programme as a 7-day course, though, to fully prepare you to launch your own soap making business as quickly and efficiently as possible. In just 1 week, you’ll learn all the core techniques and design options available, so you can choose the ones that work best for you. And you’ll discover how to market and sell your soaps at a profit quickly, so you can actually benefit financially from your new expertise. 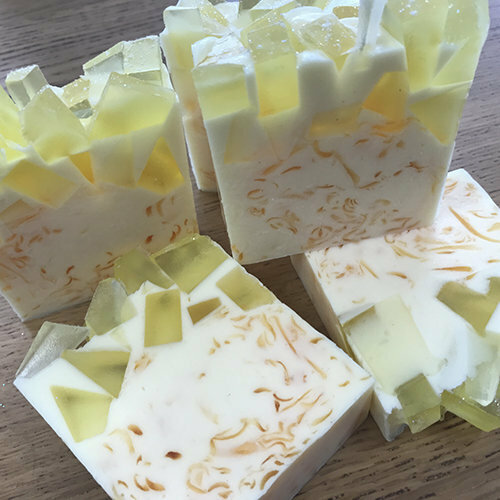 Plus, after you successfully complete the programme, you’ll receive your personalized Advanced Diploma in Soap Making… showing your customers, friends, and family that you have truly achieved mastery of your craft! 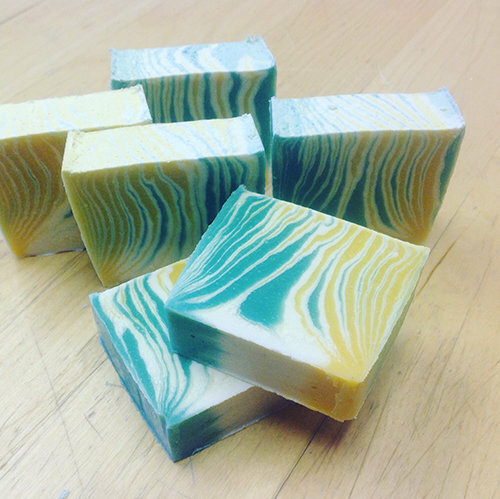 In short, if you’re serious about becoming an expert soap maker, and about creating a profitable business… then the 7-day Soap Making Intensive Course is exactly where you need to be. 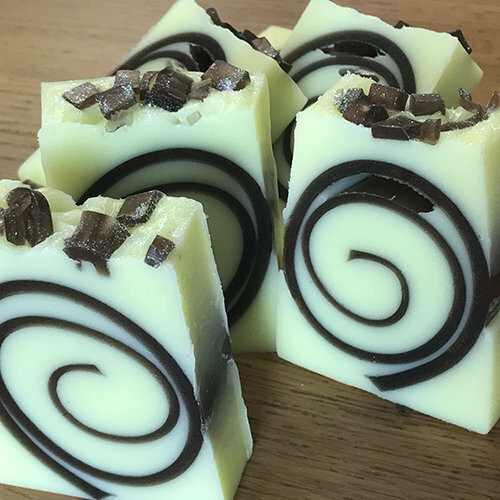 We’ve structured this programme as a 7-day course, though, to fully prepare you to launch your own soap making business as quickly and efficiently as possible. In just 1 week, you’ll learn all the techniques and design options available, so you can choose the ones that work best for you. And you’ll discover how to market and sell your soaps at a profit quickly, so you can actually benefit financially from your new expertise. The numbers are strictly limited and always go fast, so ensure you get your place booked! In this session, we’ll dive into cold process soap making techniques, including funnel swirling and faux funnel swirls, mica swirling, spoon swirling, feather and helix swirling… plus other impressive techniques like soap embeds and soap planets, confetti soaps and toppings, and a special whipped soap making method that lets you easily create pipeable toppings and soap frosting. 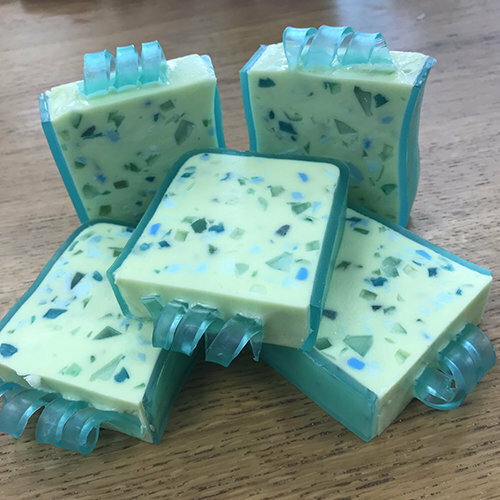 By the time you finish the Day 3 module, you’ll have a wealth of expert-level techniques in your arsenal, so you can create eye-catching soaps that your customers will adore! 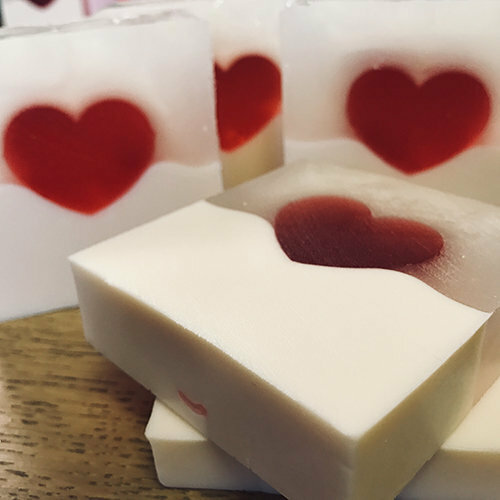 Starting with the core techniques, we’ll show you how to create simple, beautiful glycerine soaps… even if you’ve never tried to make them before. 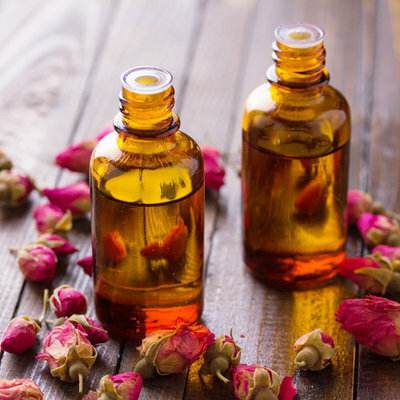 You’ll also learn strategies for increasing efficiency so you can produce glycerine soaps more quickly without sacrificing style. In this extended-day module, we’ll also cover a variety of advanced techniques and loaf designs to empower you to take your skills to the next level. 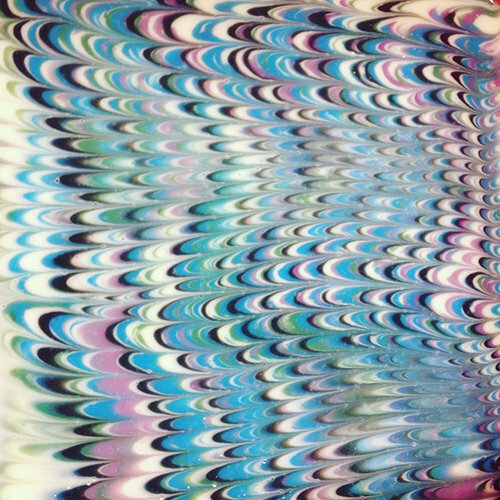 Want to create truly stunning effects? 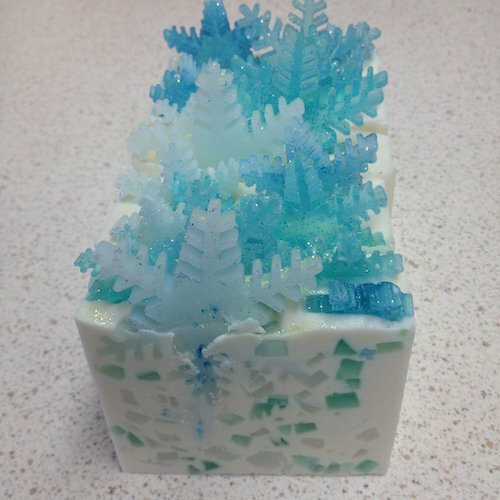 Then you’ll love the Day 5 extended session, where you’ll learn how to artfully combine cold process and glycerine soap methods to produce visually impressive soaps with ease. 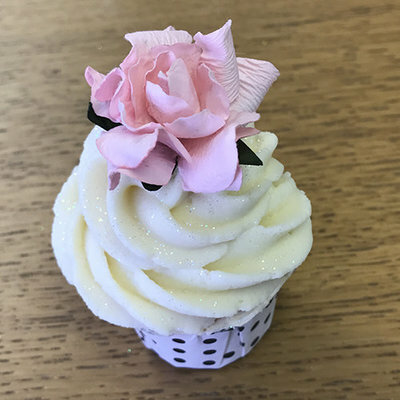 You’ll learn how to make external rimmed soap styles and loaf designs, as well as eye-catching technical swirls in cold process soaps. We’ll cover Ebru, Peacock, and Zebra swirls, exterior texturing, and a treasure trove of other spectacular techniques. 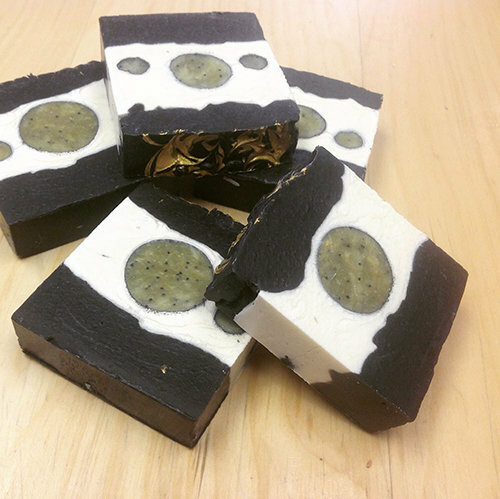 If you want to get your soap making business off the ground quickly, the Day 6 module is for you. 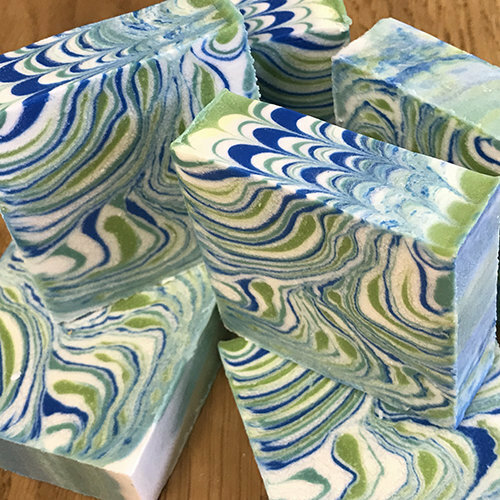 With these easy-to-master hot process soap making techniques, you can have an in-demand product ready to sell in a matter of days. 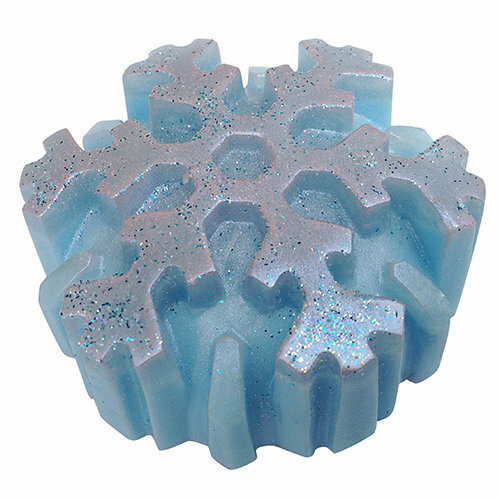 We’ll also dive into shaving soaps, which are another product that you can produce quickly to jumpstart your collection. Now that you’ve mastered soap making, we’ll turn our attention to the business aspect of things. 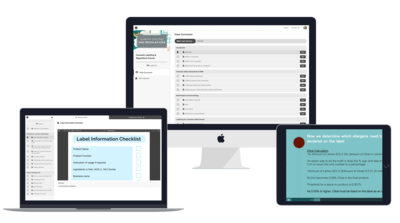 We’ve designed the Day 7 module to give you all of the business knowhow to launch quickly, while avoiding roadblocks that can cost you time and money. We’ll cover critical topics like naming your business, branding, sourcing materials, marketing, pricing, calculating stock for events, and much more. At the end of the day, we’ll hold a Q&A session to help you solidify your business ideas, and then enjoy a lively celebration and awards ceremony! 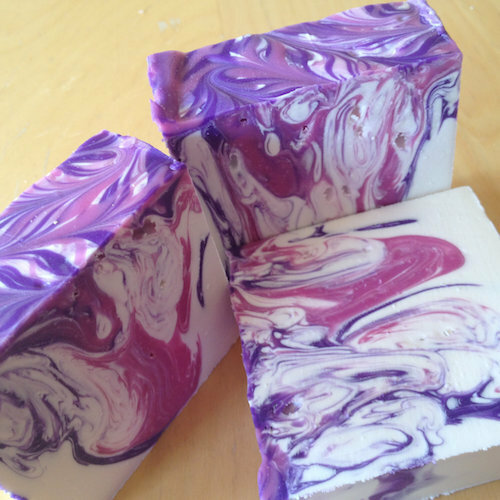 And, of course, we’ll hand you your personalized Advanced Soap Making Diploma! Soap School only award a very limited number of their prized certificates each year and we hope you will be receiving one of them. 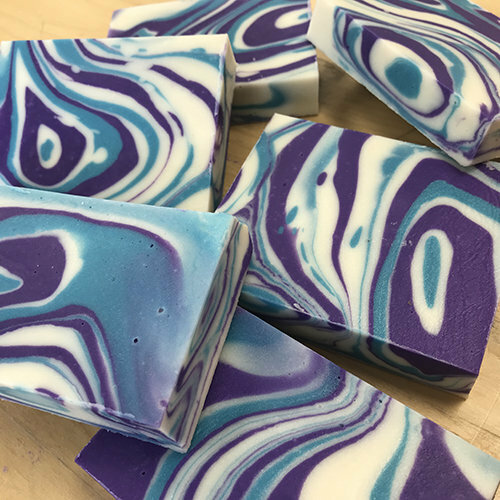 Before we get started with specific techniques and styles, we’ll cover some of the most important information you’ll need to successfully operate a soap making business – regulatory compliance. While that might not sound terribly exciting, it will help protect you and your business from fines and other penalties. We’ll cover compliant labelling procedures, weights and measures, producing product information files, calculating allergens, and producing batch sheets. We’ll also cover the most up-to-date CPNP assessment information, as well as other critical items that can affect your business now and in the future. If you thought day 1 was fabulous, just wait until day 2! Liquid soaps, in all their forms, outsell bar soaps 8:1 so this a real bonus in any soap making repertoire. 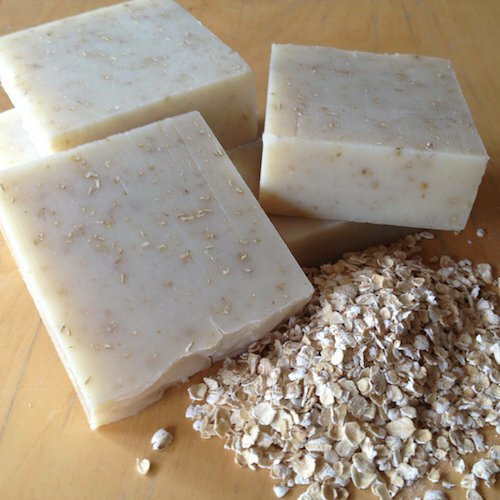 We will teach you all the differences between making solid bar soaps and natural liquid soaps. You will learn about the ingredients that will produce the best results and how you can utilise your own favourite additions into your recipes. Whilst the cooking process of the liquid soaps takes a couple of hours we will have plenty of time to talk about the Luxurious Cream soaps. 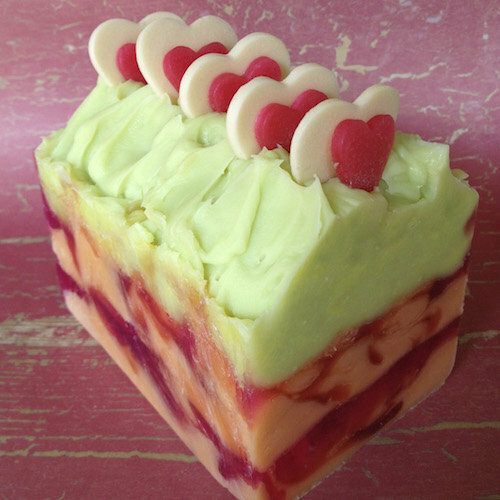 Cream soaps are one of the most delicious and exciting soaps to create. Their natural soft silky texture and naturally pearlised appearance lends itself to several exclusive products and we will explore these including making a luxury shaving cream and delicious foaming shower smoothies. 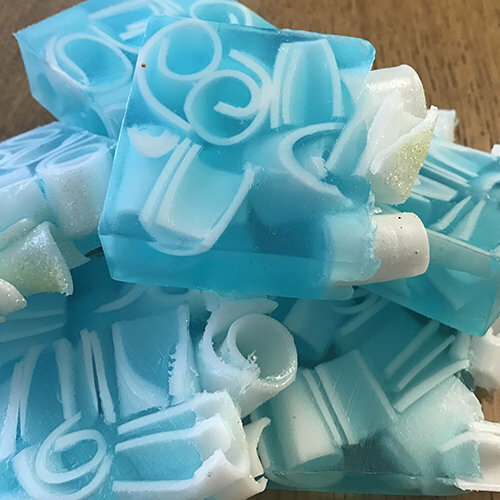 We will cover all the health and safety aspects of soap making before diving in and teaching you core fundamentals of traditional cold process soap making. 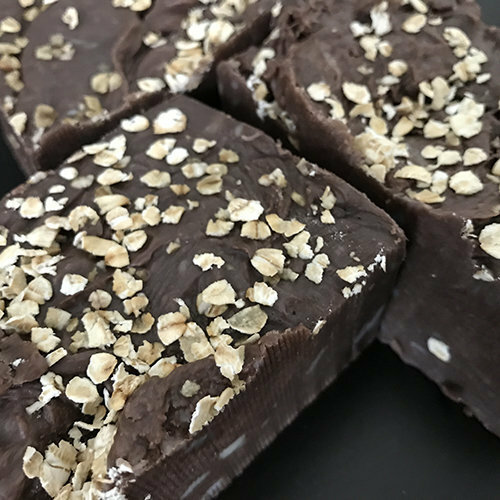 You will learn about the ingredients, equipment, and then dive right in to making your first soaps. 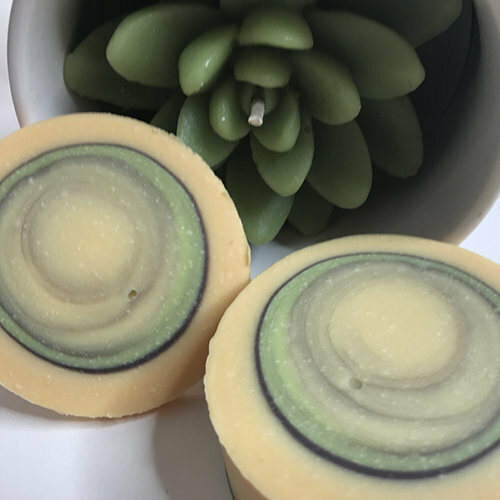 You will use natural oils and butters to create botanical soaps, layered and sculpted layered soaps and even swirl and surface swirl designs on this first soap making class. What will you make on this day? This first day is devoted to the understanding the fundemental skills of traditional Cold Process Soap Making, one of the most popular soap making methods. 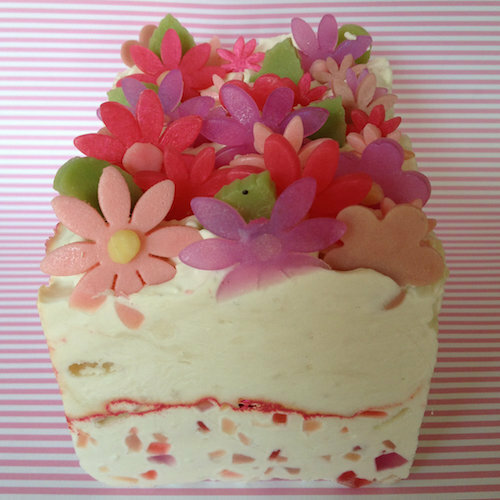 You will learn to make beautiful moisturising soaps using all natural ingredients such as plant oils, exotic butters and essential oils. You will also learn how to use a wide range of herb and natural botanicals effectively in your soaps. 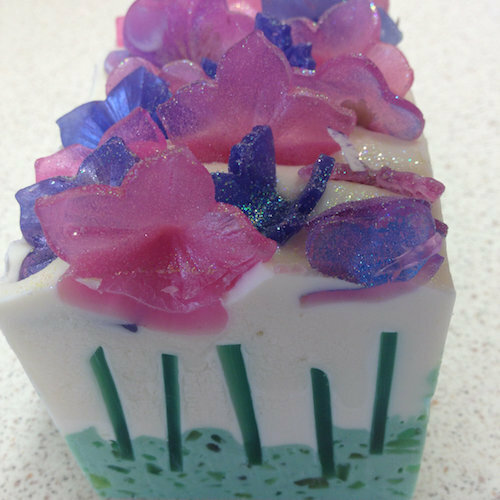 There is no prior experience required, just a willingness to experience the joy of creating your own soaps from scratch. You will learn in a hands on environment in small friendly groups. 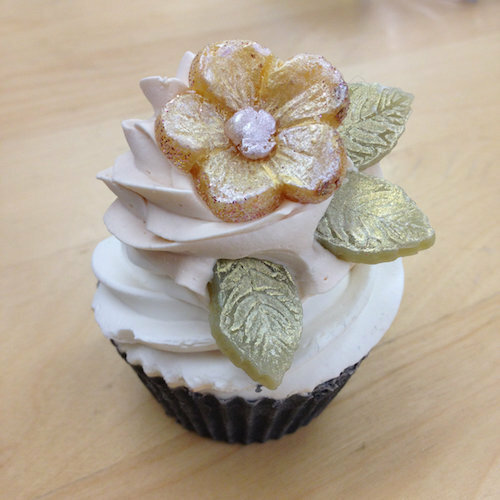 We provide a great collection of recipes within the course, but you will also learn how to formulate your own recipes. This will allow you to easily swap things for your own preferred alternatives or even use fully organic ingredients if you desire. 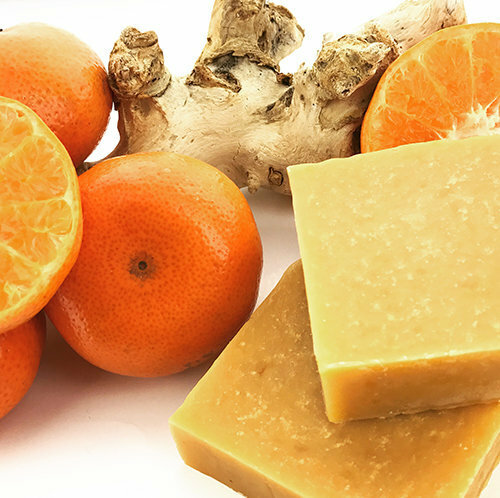 If you want to get your soap making business off the ground quickly, the Day 6 module is for you. 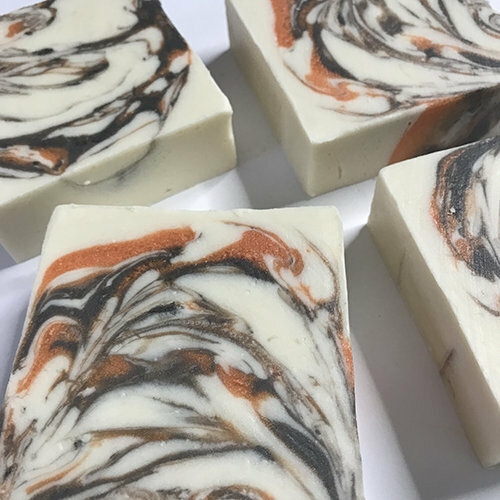 With these easy-to-master hot process soap making techniques, you can have an in-demand product ready to sell in a matter of days. 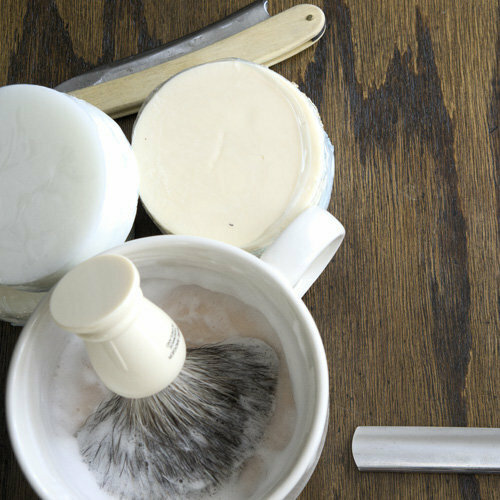 We’ll also dive into shaving soaps, which are another product that you can produce quickly to jumpstart your collection. "I loved every part of the course. 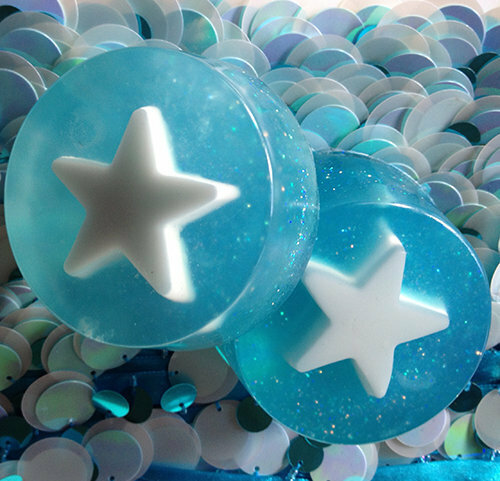 Thank you for giving me the passion & confidence in making beautiful soaps. I now have all the tools to make a successful business thanks to Sarah & Sean who made me feel at home during the course"
“I liked the course and found it to be very informative. I was so glad that you allow us to do the soap A to Z. Although I am a chemist I learnt a lot of new information from two experts. I look forward to studying with you both again. Shawn & Sarah, a huge thank you - Anne"
" There is only word that I would use to describe the course and that is “Fabulous”. It’s a must for anyone looking to start up in business or if you just want to do it as a hobby then you can. Sarah & Shaun run the Soap School and I couldn’t have wished for better. They made everyone feel part of the extended “Soap School Family”. I was honoured with the warmth that they showed to me and my fellow classmates. If you want to go somewhere else then that is one’s own prerogative, but Shaun and Sarah treated everyone as “people” rather than commodities. Not only was I enriched with the wealth of knowledge disseminated but most importantly I gained in terms of forming lifelong friendships. The course was fun and broken down into manageable chunks it was suited for everyone. Normally, you go on a course where the person teaching rushes through without having patience or regard for the learner but with Sarah and Shaun it was a different learning experience. If you had a question then that would be answered in manner that was neither patronising nor condescending; Sarah and Shaun would go over the problem until you felt comfortable. 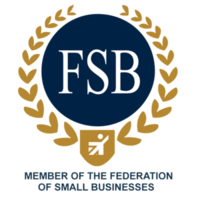 Upon completion of the course you don’t just think that it and walk away, but where Soap School differs from the competition is with their after care service. You can call them up or send an email and they will respond to whatever issue one may have. Shaun has many talents apart from his intellect boy can he cook I tried some amazing dishes, my stomach can vouch for that! Sarah what can I say about her but she is simply an amazing person, with a warm smile who genuinely cares about everyone; she is in my eyes, “simply the best”"
Once you have shared a fun week of soap making with us we want to offer you some special thank you BONUSES! 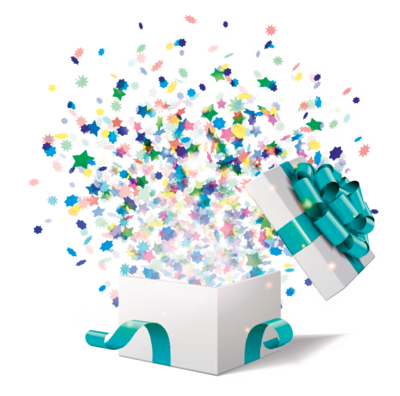 We've got some great bonuses for you! 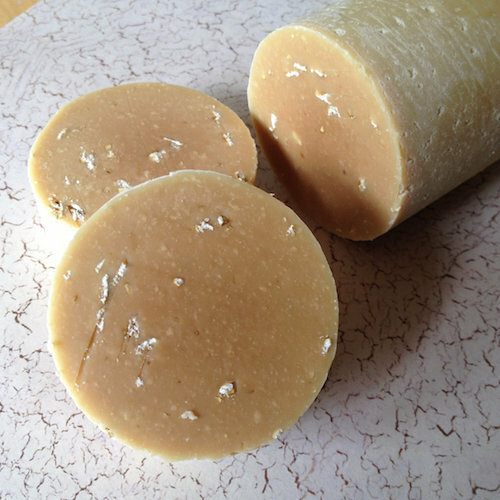 Additional soap making projects including a simple milk soap recipe. Once you have shared a fun day of soap making with us we want to offer you some special thank you BONUSES! 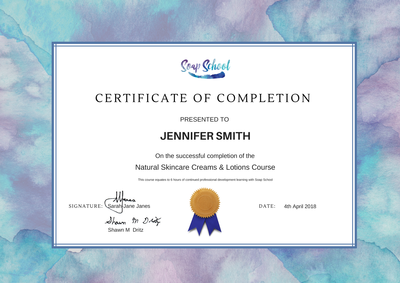 At the end of your day with us, you will also receive your certificate of completion for all components of this course this course PLUS will be presented with Soap Schools Advanced Diploma when you graduate.